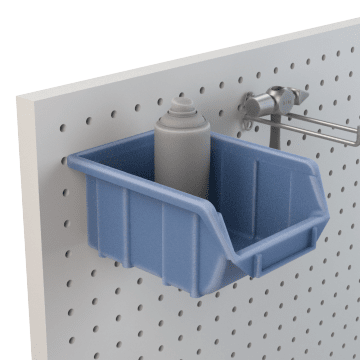 Attach these bins and shelves directly to a pegboard to keep small items organized so you can find them quickly. 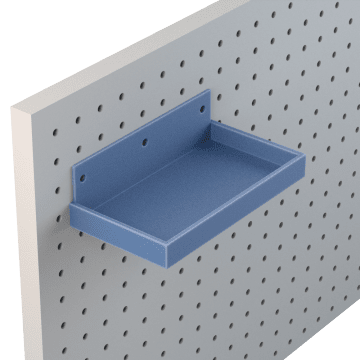 These shelves, also known as trays, provide storage space while keeping items visible and accessible. They have a lip around the edge to keep items from falling off the shelf and are ideal for holding long or tall items. 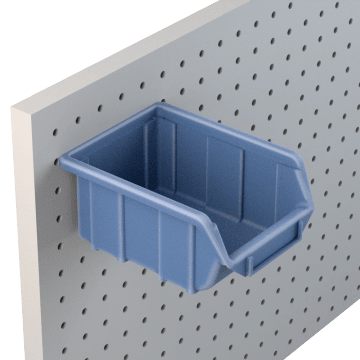 Make the most of your pegboard's storage space with these bins, also called bin boxes. The raised side walls keep stored items contained, and the lower front lip lets you see and access the bin's contents quickly. Mounting hardware is included, and you can lift the bin off the mounting hardware to access its contents.